President Beck A. Taylor announced today the appointment of Scott McQuilkin as vice president for institutional advancement and Nancy Hines as director of university communications. McQuilkin has served as acting vice president for institutional advancement since October 2009, providing significant leadership in the presidential transition from Bill Robinson to Taylor, in constituent relations and communications, and in fund-raising for priority initiatives, including a new, $32 million biology and chemistry building scheduled to open in August. Taylor said McQuilkin has demonstrated an intimate knowledge of Whitworth's heritage, solid rapport with Whitworth's donors and friends, a long track record of success in all of his roles at Whitworth, and a deep and profound love for Whitworth's enduring mission of mind and heart. "I have grown to trust Scott's deep insights and keen judgment, not only in his advancement role, but also as a key member of the president's cabinet; his leadership will be felt in all areas of university life," Taylor said. "Scott is the quintessential Whitworthian whose responsibility now includes encouraging all Whitworthians to participate in the life of the university. Scott will provide important energy and vision to our communications and fund-raising efforts, particularly at this significant time in Whitworth's history." McQuilkin, who led the director of communications search, said Hines brings to the role significant leadership experience as well as a strong commitment to education and to Whitworth's mission. "I look forward to the leadership Nancy will bring to university communications and to institutional advancement, as well as the perspective she will bring to the university's strategic planning efforts," McQuilkin says. "Nancy has a wealth of experience with the web, social media, and publications. She combines this talent and expertise with a deep and abiding faith. Nancy is terrific, and I am confident the Whitworth campus will thoroughly enjoy working with her." As vice president for institutional advancement, McQuilkin oversees all facets of fund-raising; donor records, stewardship and events; alumni, parent and church relations; and marketing and communications. 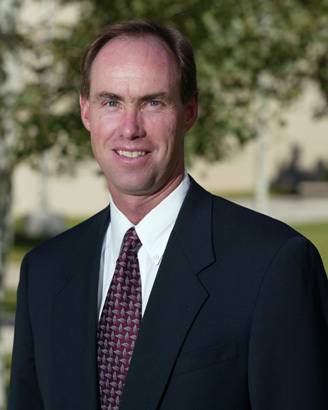 He has served Whitworth in a number of roles, including his 13-year stint as director of athletics. During his tenure, Whitworth won the McIlroy-Lewis All-Sports Trophy for the best overall athletics program in the competitive Northwest Conference in 2006, 2007, 2008 and 2010, and sent 80 teams to compete in NCAA Division III championships. McQuilkin, who holds a bachelor's and a master's degree from Whitworth and a Ph.D. from The Pennsylvania State University, has taught in Whitworth's acclaimed worldview studies program and in other courses, earning the Outstanding Service Award for faculty in 2004. In the community, McQuilkin has served on the board of the YMCA of the Inland Northwest, including a term as board chair from 2005-08; as president of the Spokane-North Rotary Club; as elder and chair of the Personnel Commission at Whitworth Community Presbyterian Church; and as a youth league coach and speaker. McQuilkin says he will focus in his new role on developing an institutional culture of philanthropy by engaging alumni, donors and friends in the life of the university; through sharing stories of lives changed through Whitworth's first-rate education of mind and heart; and in encouraging deeper financial support of the university. "I have tremendous optimism for the support we can further generate by telling the story of our university, our mission, our education of the mind and heart, and the many, many ways in which our faculty, staff, and students contribute to a world in need of our graduates," McQuilkin says. "Because I've been at Whitworth for 30 years and have served in a variety of capacities, I have a deep appreciation for all that goes on at this place. It's a privilege to be in a position where I can champion Whitworth and raise support for the Kingdom-building work we do." Whitworth will initiate a national search immediately for a director of athletics. "Both Scott and Warren Friedrichs have set a high bar for excellence in the athletics area, and we fully expect to hire a new director who can build on that legacy," said Vice President for Academic Affairs Michael Le Roy. As director of communications, Hines will serve as the chief marketing and communications officer for Whitworth, overseeing external communications, including publications, web, media relations, advertising, event promotions, and social media, as well as printing and mailing services. She starts Dec. 1. Hines most recently served as director of communications and community relations for Billings Public Schools, overseeing all district communications for Montana's largest school district. She owned H2O Consulting, a marketing consulting firm in Billings that served K-12 and higher-education clients, and she served as marketing director of Montana's travel and tourism program and as executive director of Partners in Education, a unique school-business partnership program in Billings. "I feel fortunate to be able to help promote a mission that is so much a part of who I am," Hines said. "The intersection of spiritual growth and rigorous education is where my passion lies, and Whitworth sees that intersection as a place where the richest learning opportunities can occur. Communicating that mission is an exciting opportunity for me." Greg Orwig, chief of staff, office of the president, Whitworth University, (509) 777-4580 or gorwig@whitworth.edu.